I really love Joss Whedon and almost everything he's done. Buffy the Vampire Slayer was my favorite television series as a very young teenager, and still holds a very special place in my heart. Joss has gone on to create a lot more shows and movies, all with their own dedicated fans and beloved characters. Firefly/Serenity was Joss's very short-lived delve into science fiction, and it was glorious. In the series, the alcoholic beverage known as "Mudder's Milk" was used on a remote planet called Higgin's Moon to simultaneously feed the laborers (or "Mudders" as mud was the planet's only export) and keep them submissive. It has, according to planetary legend Jayne, "all the protein, vitamins and carbs of your grandma's best turkey dinner, plus 15% alcohol." From this description, I instantly imagined a sort of alcoholic protein shake. This recipe is not going to be everyone's cuppa, obviously, but that's sort of how it is supposed to be. The drink is super filling, and I think it tastes pretty rutting good myself. It would be a great meal replacement for one of those days. Combine all ingredients in a blender, blend until consistency is smooth and drinkable. Pour into a mug and enjoy! I always imagined Mudders' Milk as something that was much less healthy. I like your take on it though! Thank you! I figured, they probably don't want to be killing off their laborers. Also, it does say there's vitamins! I wager it would taste like rubbing alcohol and paper machet paste with a metallic tang. I have an answer to this - As someone who has studied anthropology, I can tell you that Mudder's Milk would be something very similar to a particular African Tribe (that I cannot remember the name of) that my Professor lived with for a year - Millet Beer. 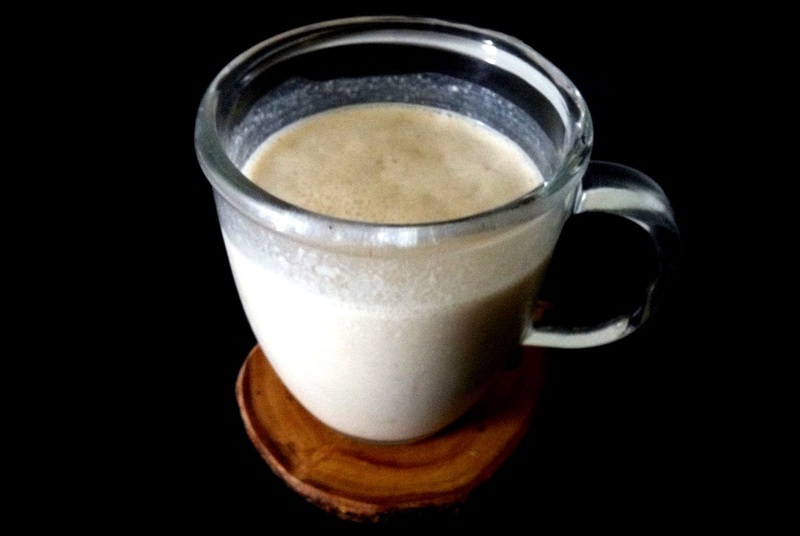 Yes, it has alcohol, but it's very thick, and almost unpalatable to those who aren't used to it, because it has everything in it needed for nutrition throughout the day. Served about 2-4 times throughout the day to the working people of the tribe. 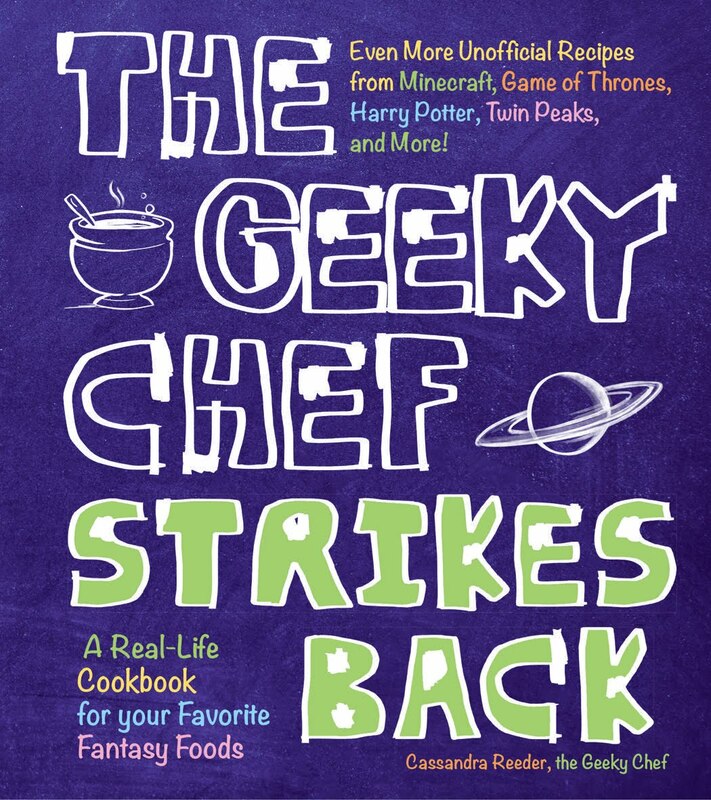 I like the Geeky Chef's version much better! Um, I happened to have all the ingredients in my pantry already and WOW, this is delicious! Right?! It worked out way better than I anticipated. This is pretty much what I had imagined too. Can't wait to try it! I'm happy I wasn't alone in that! It's actually pretty tasty. I'm assuming that any kind of honey whiskey would work (I have Drambuie in my liquor cabinet currently) but I'm going to get some bananas tomorrow and definitely try this. Looks amazing! I don't see why any other honey whiskey wouldn't work. Hope you like it! Hmmm..i almost wonder what this would be like with protein powder added to it! Could chocolate it up! Would you just omit the Jack Daniels if you want to make it virgin? Or is there something that would be substituted? It looks like it would taste SO good! Yeah, I would just not include the alcohol. I actually did a test run nix whisky and it was still really good. I nixed it due to my epilepsy and added a couple tablespoons honey for the sweetness and it was shiny! What would you recommend using as a substitute for peanut butter? Any nut butter would probably work, like almond or hazelnut. Hmm, maybe Nutella?! No dice, also allergic to hazelnuts and almonds. Perhaps tahina/tahini? Unless you're allergic to sesame seeds of course. I have a nut allergy too, but not a seed allergy. I think you should make terraria and minecraft foods like worm food (terraria, meat on a stick) or cake (minecraft, very cubey cake) if any1's with me on these 2 games, then reply with other ideas from these games (I might check weekly). Now go out there and plz do it(my techie showed a bit) ! Thank you for the suggestion! It's one I haven't heard before yet. I will look into the Minecraft foods. If you happen to come up with something on your own, please submit it! I love me some long-winded food descriptions! I will look into this. Thank you! How much ice does this need? It's sorta personal preference, and ice cube sizes vary.... I used enough so the liquid covered the ice completely by a couple inches. Aw, that is awesome! I hope it lives up. I have a request, if anyone has a recipe. Lotus flowers from Percy Jackson? Thank you for the suggestion! I've never heard of this, but I will take note. Usually Geeky Chef suggestions lead me into new obsessions, haha. I've enjoyed looking over your recipes. Is there a preferred way to contact you? I'm interested in referencing your blog on my site. You can find me on Facebook! 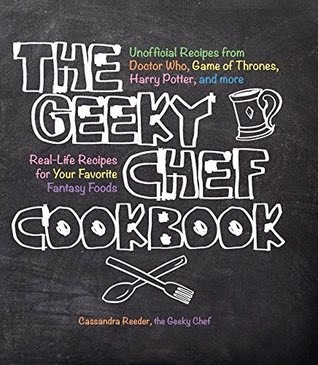 There's a link on the sidebar, but you could also just search Geeky Chef while on FB. Shoot me a message! Also, everyone can feel free to link to my blog, you don't need permission. Hey Chef, Have you thought about a recipe if you actually wanted to try to ferment from scratch a batch of Mudder's Milk? Ugh and my blender JUST broke. i am under age so what can we use instead of whiskey? Whiskey bought by someone of age. Then, when you go to make it, let out a happy "Shiny, Let's be Bad Guys." put some honey in instead of whiskey, it should taste just as good though without the boozy hint. Is there any way to make this a hot drink for the holidays? Anyway, great work on the book! This sounds amazing...but, minus the alcohol, it is very similar to a lot of recipes to increase your lactation. Mudder's milk indeed! I just found the site and love it!